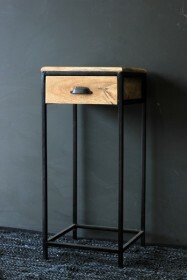 This is one of our favourite pieces from the RSG collection! 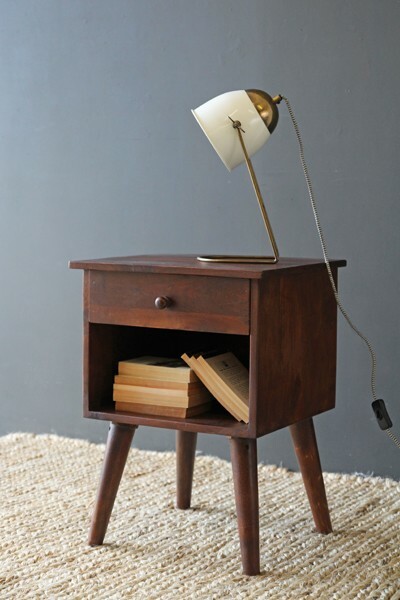 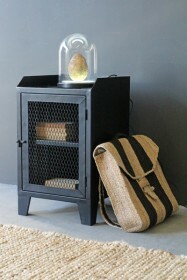 The Hudson Bedside Table is a gorgeous mid-century style bedside table replicating the iconic design of the 70's. 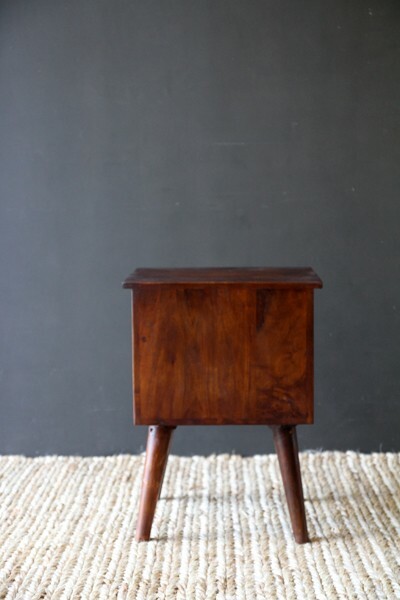 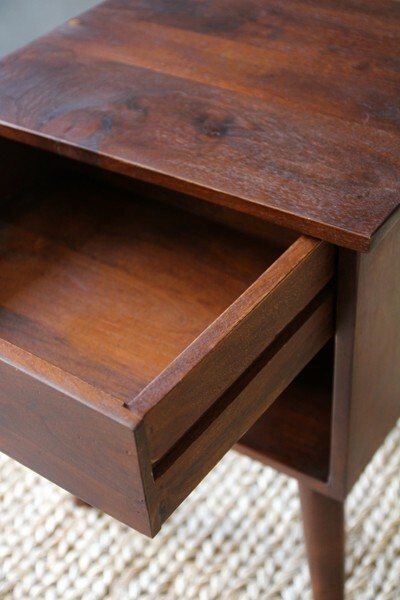 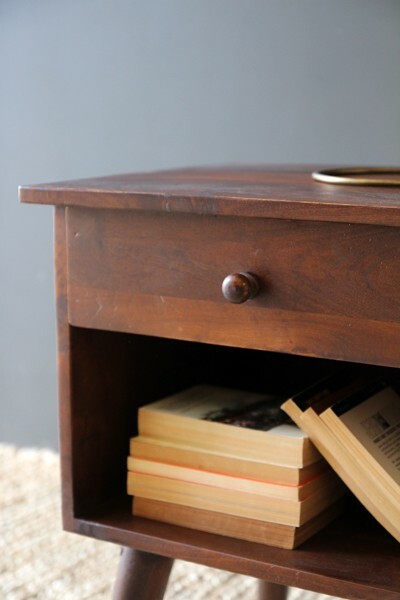 The wooden bedside table has one drawer which measures 11.5cm high and a large open space underneath which measure 18.5cm high. 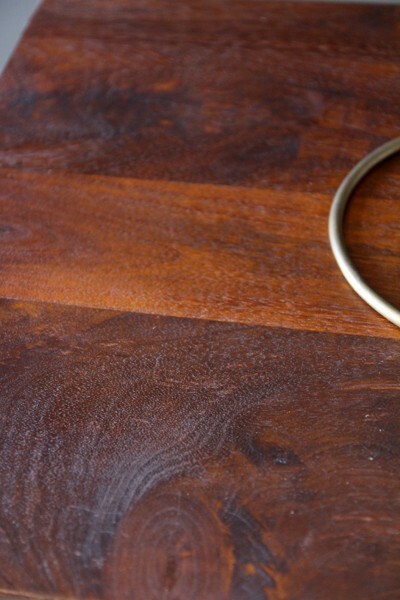 This product is made from natural wood and this means that markings vary from table to table and whilst we cannot guarantee exactly what your table will look like, we can guarantee that it will be unique to you!